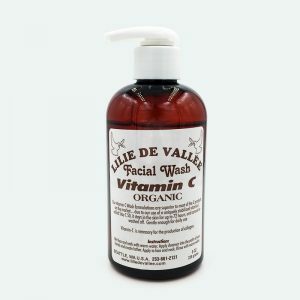 Includes the Vitamin C Facial Wash, Serum and Face Creme. The product that every person over 25 should have. “Turn back the clock,” restore firmness, heal sun damage, increase hydration, erase wrinkles, smooth texture, nourish at the dermal layer, minimize irritation, increase skin brightness and even out skin tone. 40% organic content. Paraben free. A powerful cocktail of antioxidants combined with Vitamin A to diminish fine lines, wrinkles, and premature aging due to sun exposure. 71% organic content. Paraben free. Contain 2.5% retinol. Restore firmness, heal sun damage, increase skin brightness and even out skin tone. 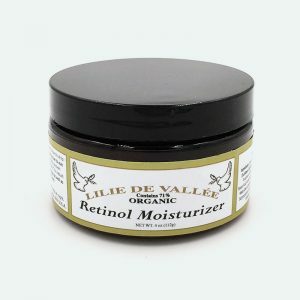 Thank you Helena and Joseph for suggesting the Organic Eye Gel for my Eye lids! My Right Eye lid had a rash that was red and scaly. 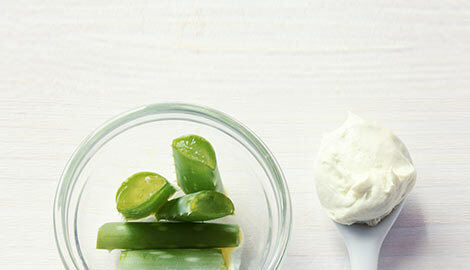 Your Eye Gel allowed the itchiness to calm down, the scaly skin to become smooth, and the redness disappeared. I used it two to three times daily, and it took about a week to get rid of the rash. It also tightened up the eye lid which today gives me a more healthy, glowing and tightened skin look! Plus when I did itch my eye lids, my contact lens did not get all creamy like some of the other eye creams have done. I appreciate your help and know that others would greatly benefit from your wonderful skin line! Thank you again for all your help and for really caring about your customers! You have the BOMB skin product line! EVERY ONE would benefit from this awesome skin line! 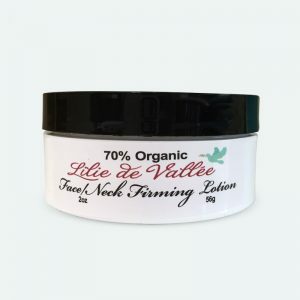 Face and Neck Firming Lotion - simply stated, this works. I noticed a lessening of my fine facial wrinkles after a few days use, and continuing use has made a real difference in decreasing wrinkles. It also has given my skin a subtle, but noticeable, healthy glow. Another stellar product that is now indispensable for me. Thank you! This "Hyaluronic acid" is very healthful for my face! When I apply the serum to my face and neck, I can soon feel the difference. I can brush my hand over my skin and the surface is smooth and elastic. It helps the appearance of my skin greatly; the skin tone is more even and healthy-looking. I love this serum! I have been purchasing your soaps for years and love them (I've met you at Issaquah farmers market and Salmon days among other places - and always buy lots of soaps for teacher gifts as well!) 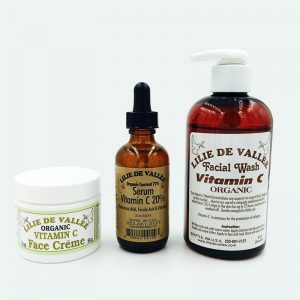 Recently I began using your Vitamin C Serum, your retinol moisturizer and the Turbo Ageless cream. Seriously love them all!! Wish I had started using a long time ago. Thank you so much. 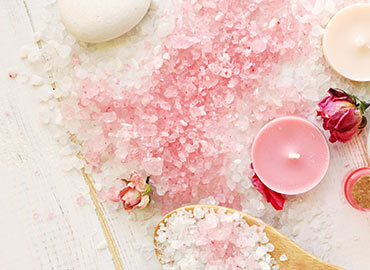 "These products are so wonderful! I am a new customer, but enjoy using the creams and have just purchased some skin care products. Their service is tremendous." 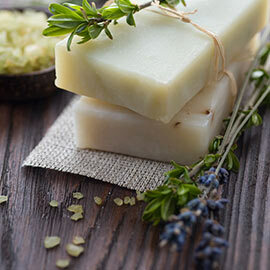 "I just wanted to share, if you have acne, use the tea tree soap! It's amazing. Mine was literally gone the next day!" "I stopped by your booth at the Skagit Valley Tulip Festival Street Fair and bought a bar of your Shea Butter/Olive Oil - Patchouli/Lavender soap, and I LOVE it!!! Best soap I've found in years.... seriously." "It's the best soap in the world. I shampoo my hair, shave, and in the bath and shower it's wonderful." "I just wanted you to know how much your Deep Therapy Hand & Body Creme has helped my husband's skin while going through radiation treatments for cancer! It is the only product that has stopped the itching and burning sensations where he received 30 treatments."